Does the “Emerging Church” have a point in allowing “developing” disciples, like Jesus did, to belong first, before requiring all the correct beliefs and behaviors? When I study Jesus’ discipleship method I see a reversal of our common approach of “behave, believe, belong” to “belong, believe, and behave.” In the context of belonging, our beliefs and behaviors begin to change as we become more like Christ. Last night my son’s soccer coach dropped by to pick up his son who had spent the day at our place. We talked about the craziness in the sports world that has the potential to affect our families in negative ways. Consider just the time investment; many parents spend every evening of the week running their kids to and fro for practices and games…and for what purpose? Are they planning for their son to be the next Wayne Gretzky or Kobe Bryant? At this point we have our kids in recreational soccer. It’s really helped us interface with our community, given us connection with new friends, and supplied an outlet for our children’s energy. All in all it’s been a great experience without robbing every moment of our time. But take it up a notch with select leagues? Good-bye family time! Presently our family spends about an hour per week (gasp!) in church. Call us pagan if you like but we’re loving it! Sunday is a day of rest and a great day for our family to connect. I might also add that spiritual growth and development happens throughout the week without pressure to show up at a certain place at a certain time, often in the context of an intentional small group. So let me ask you: Has church become a rat race for you? Lily Tomlin once said that the problem with the rat race is that even if you win, you’re still a rat. Jesus made us human, not rats, and I believe He got it right when He said, “The Sabbath was made for people, not people for the Sabbath” (Mark 2:27). Maybe its time for us to get it right and take a Sabbath from all those “un-Sabbath” activities! It’s my second day at Asbury Seminary; first day of class. So far I’ve attended two days of new student orientation and several chapel services. At chapel this morning I was confronted again with a tension I grew up with, something I’ll call the “worthiness factor” in taking communion. My faith tradition practiced “closed communion” which simply meant that the communion table was typically open to only members of that church who were in “right standing” with God and their fellow believers. This is based on an understanding of 1 Corinthians 11 in which Paul instructs the believers to not eat the bread or drink the cup unworthily. The dean of the chapel made the rather startling comment at the onset of the service that there were some of us in the audience who were unworthy to participate in the Lord’s table. He then proceeded to announce that if any of us felt worthy of the bread or cup we ought not to come. For the unworthy—those aware of their constant need for grace—the table was open. Perhaps the real problem lies with those who translate “unworthily” as being “unworthy”. A better rendering of that text might be “in an unworthy manner.” This is clearly seen as Paul elaborates about those who ought not to eat or drink—those who fail to discern the body of Christ. Furthermore, is it Biblical to discern whether or not another person is “worthy” to commune? Can one see into another person’s heart? It’s easy to be externally aligned and offer acceptable words at a “preparatory service” while all the time be callous toward the body of Christ. 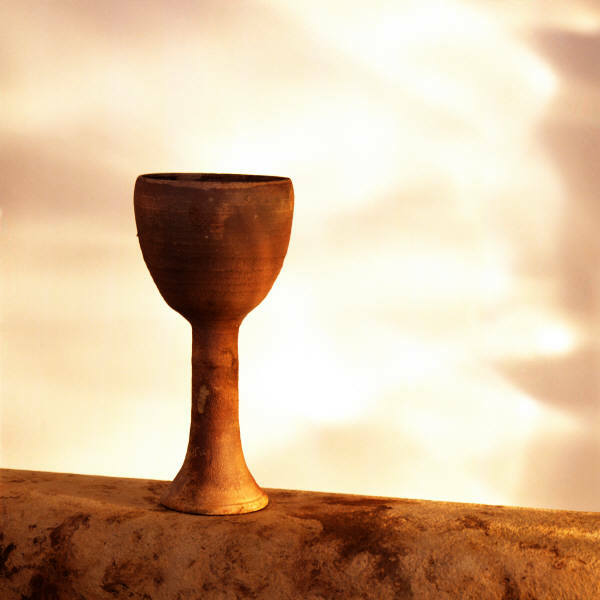 Closed communion presupposes that we have jurisdiction over those within our own church and must thus take responsibility for those who commune. But do we commune with those we think are worthy or do we commune based on self-examination? 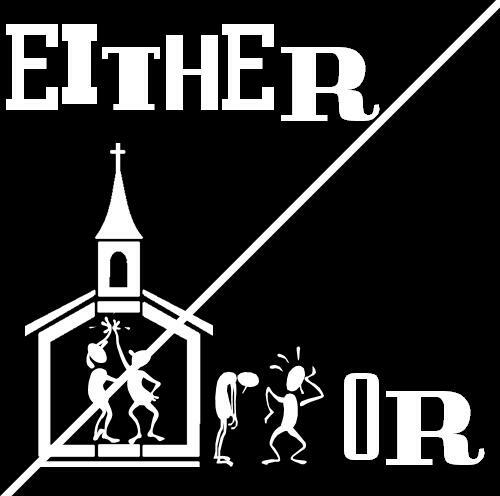 Only the latter is Biblical (see 1 Cor. 11: 28-32). And how does one explain Jesus offering the bread and wine to Judas—one that He knew was in desperate need of grace at that moment? But there’s even a greater tension I’ve wrestled with in practicing closed communion. Something that stems primarily from my personal experiences within the broader body of Christ. In Southeast Asia I would often travel to speak in a variety of settings. Often I was invited to commune with believers who didn’t share my denominational background or practice Christianity exactly as I did. Having refused the bread and cup offered to me would have been akin to committing sacrilege. Why would Jesus throw a banquet in His honor and then not show up to celebrate it with all His children? Much has been written on authority and how it relates to leadership. In the last few decades we’ve witnessed time and again a general lack of respect for authority and the crumbling of structures in which these authorities have operated. We’ve also generally been taught that those who reject authority are under condemnation. But is it also possible that those who claim authority are actually not “in authority” at all? And if that is the case should one seek out another spiritual authority? Just last week I came across Watchman Nee’s Ten Commandments of Spiritual Authority. As a student of leadership I found his insights fascinating. I’ll make comments after each one. 1. One who learns spiritual authority as the power base for ministry must recognize the essential Source of all authority: God. While many rely on their position granted to them by another human being, true spiritual authority can only stem from God. Positional leadership will always be limited in its power; people ultimately respect and follow the influence of one who is anointed with authority from above. 2. God’s delegated authority does not belong to the person exercising it – that person is just a channel. Perhaps Andy Stanley says it best when expounding on a passage repeated four times in the book of Daniel (4:17, 4:25, 4:32, 5:21): “Leadership is a stewardship, it is temporary, and you’re accountable.” Nebuchadnezzar learned it the hard way but at least he “got it”! A later king—Belshazzar—treated his predecessor’s most important life lesson with contempt and lost everything including his life. 3. The channel of delegated authority is responsible to God for how that authority is exercised. As often seen in the Biblical narrative, authority wrongly exercised by one, leads to another raised in his stead. Moses failed by not speaking to the rock and Joshua replaced him. As Saul became power hungry and consumed with self-preservation a young worshiper named David began his ascension to the throne. 4. A leader is one who recognizes God’s authority manifested in real-life situations. A person who has spiritual influence is one who not only knows God but has also experienced God. His or her wisdom is derived from seeing God’s finger in the “normal stuff” of life and responding rightly to the means and methods of Sovereignty. 5. Subjection to authority means that a person is subjected to God Himself and not to the channel through which the authority comes. Perhaps you’ve seen leaders who start out well with a desire to please only God, yet end up serving a system that God has seemingly withdrawn from. “Ichabod” (see 1 Samuel 4:21) is clearly written over the institution as it has become self-serving and no longer reveals the glory of God to its constituents. Instead of serving “an audience of One”, the leader now serves the structure or hierarchy that granted him his perceived position of authority. 6. Rebellion against authority means that a person is not subjecting himself to God, though it may appear that the person is rejecting some impure manifestation of God’s authority through a human channel. Just this morning I was reading in Numbers 16 about the rebellion of Korah, Dathan, Abiram, and On. They believed that Moses and Aaron had set themselves above everyone else apart from God’s authority. While Moses and Aaron were certainly human and thus prone to sin and failure, these rebels failed to understand that it was God’s authority they were questioning. They were struck down because they “treated the Lord with contempt” (16:30). Incidentally, not long after this event both Moses and Aaron also failed to subject themselves to God’s authority (20:12) and forfeited their privilege of entering the Promised Land. 7. People who are under God’s authority look for and recognize spiritual authority and willingly place themselves under it. A centurion with great authority and power in the Roman world recognized Jesus’ Sovereign authority and humbly noted that he was undeserving of having audience with Him (see Luke 7:1-10). Jesus commended this man for his tremendous faith—something He could not say about His own people who should have recognized Him for Who He truly was. 8. Spiritual authority is never exercised for one’s own benefit, but for those under it. 9. A person in spiritual authority does not have to insist on obedience – that is the moral responsibility of the follower. When a leader has to remind followers to obey his or her authority it may be a sign that the leader is no longer in authority. True followers who submit themselves to God’s authority will remove themselves from the influence of those who are simply blowing their own trumpet and seek out another leader where’s God’s authority is clearly evident. The men who followed David did that. And David removed himself from Saul’s authority as well—though perhaps more so for the preservation of his life than anything else. 10. God is responsible to defend spiritual authority. When one who has spiritual authority is rejected it is not his or her responsibility to defend that authority. This principle is clearly seen in the Numbers 16 story alluded to earlier. In God’s words: “It is mine to avenge; I will repay” (Deuteronomy 32:35, Romans 12:19). Last weekend I ran into a guy named Ivan and heard his story. He works with a ministry called Steeple to People. Their purpose is to bring the Church to People by utilizing the skills, talents, and resources of Christians to meet the needs in their community. Their statement of faith includes a declaration to cooperate and not to compete. Since my meeting with Ivan was brief, most of what I learned about his story came from others. An elderly gentleman, Ivan is known by most folks in town including the senior citizens, teenagers, police, town council members…and well, just about everyone. For the last twenty plus years Ivan has been investing in his local community. If someone has a problem, they call Ivan. He fixes their things, helps with basic needs, oversees funerals, settles estates, and generally cares for whoever he meets. He also shares his testimony everywhere he goes. Ivan serves under a group of people from the local community. This board has representation from various denominations including the Methodist, Presbyterian, and Mennonite churches in town. They all collaborate on one thing—serving their community. They all believe that only by working together can they make a difference in their neighborhood. Presently a youth center, a thrift store, and refuge house exist in this town as a result of their united vision. It all started over 25-30 years ago when the local Presbyterian Church started Steeple to People Ministries. It wasn’t long before Ivan was involved and his farm became the epicenter for local mission. It was just the right environment for vacation Bible school and kids’ clubs. In fact, when recruiters hit the streets to mobilize children for events all they had to do was mention Ivan and his farm. No more questions were asked; Ivan’s reputation had preceded him, and anything connected to him had everyone’s support. Ivan’s story intrigued me so I decided to call him for more information. “We don’t even think about denominations,” Ivan told me on the phone this afternoon. “All that matters is that we are born again.” He went on to tell me about a Bible study he and his wife lead at a local senior citizen apartment complex every Tuesday night. A Catholic lady has been attending those for the last 6-8 years. Ivan is a Conservative Mennonite man. He still holds to his convictions. But Ivan has concluded that much of his Christian faith is the same as other local Christians. He understands that majoring on the minor issues that divide so many believers flies in the face of what Christ had in mind. He also realizes the impact he can have on his broken community when he aligns himself with what God is already doing through the local body. So here’s my question for you: What will it take for your church to reach your community? Where can you join God where He is already at work around you? 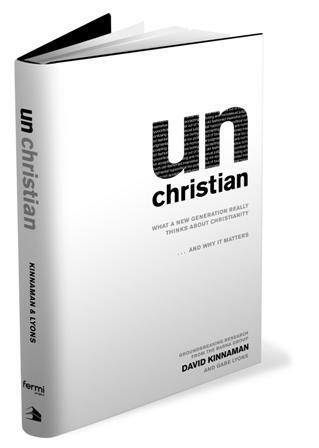 Can you unite on the essentials of your faith with other Christ-followers and dare to overlook the 5-10% of controversial non-essentials that tend to divide so many? The Kingdom is at stake. This past month I’ve been reminded again of the diversity and beauty of the body of Christ. A roomful of guys from different backgrounds sharing their dreams about reaching a broken world. A group of students at LSU attempting to decipher their role in the Kingdom. A couple with three children—two adopted from China and one biological—who have taken a foreign exchange student into their home and are open to moving overseas to make God famous among the unreached. All seeking the heart of God, all pursuing His higher purposes for their lives. Though not like me, all are Christ-followers with whom I experienced a oneness and joy. 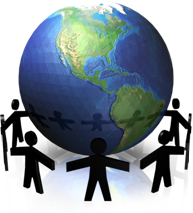 I’ve taught numerous times on the issue of God’s greatest glory being reached when He unites all the diversity on the planet under the one umbrella of Jesus Christ. I’ve seen my vision of God expand each time I worship Him with people from differing perspectives and cultures. I’ve also been enriched in my Christian walk by learning from people of varying colors and Christian backgrounds. To keep things in perspective, John Trapp reminds us that, “Unity without verity [truth] is no better than conspiracy. In fact, many folks excuse themselves from the pursuit of unity for this very reason. And while that may be noble in certain situations, I believe that most of the time many Christians are misguided by their unperceived arrogance. Their feelings of superiority based on their belief that they have greater insights and revelation than other believers makes them prime candidates for opposition. Not opposition from the enemy however. The Apostle James makes it very clear that “God resists the proud” (4:6). I have no doubt that true unity cannot occur apart from a commitment to truth. Yet why do we tend to fight over the 10 percent or less of nuance and application rather than unite on the 90+ percent of essentials we all agree on? The old ecumenism put little emphasis on truth…a new ecumenism must move forward on the essentials of the Gospel. It must grow in the context of relationship as we mutually influence each other to become more like Christ. In other words, what’s strong or beneficial in someone else’s faith tradition becomes a learning point for us, and what’s useful and valuable in our faith tradition becomes a learning point for them. Frederick Coutts once said that, “Few things make a mockery of Christianity more than disunity among believers.” The present day fragmentation of the church must end. Not necessarily an end to all denominations and groupings, but rather an end to the isolation, turf wars and posturing these barriers have created. Jesus saw unity in terms of missional impact. “By this will all men know that you are My disciples,” He stated, “by your love for one another.” What are you currently doing to fulfill His vision for unity in the body? And furthermore, “Don’t forget about our kids!” We all know that we need a safe environment for our children. But really, how safe is the church today? Our children are exposed to insider-centered programming (see next paragraph), materialism, escapism, and a posture against change that cherishes maintenance at the expense of missional values. C.T. Studd once said that “Some wish to live within the sound of Church or Chapel bell; I want to run a Rescue Shop within a yard of hell.” Which one really is safer for a living faith to be passed on to next generations? In practical terms, simply consider how our systems and common lingo caters to those of us who are in church world. We talk knowingly about being “born again,” “saved and justified by grace”, “having a burden for the lost,” “laying on hands,” or “being the bride of Christ.” Do Christianese terms such as these make any sense to outsiders who just happen to slip through the plate glass doors on a Sunday morning? And what about normal church programming? 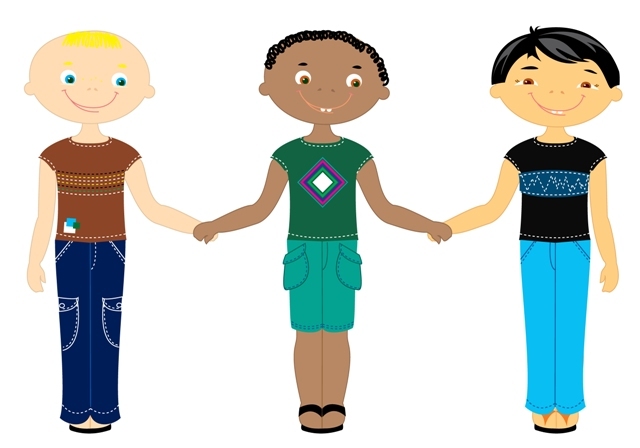 Does it make sense to members in the club but leave outsiders confused and feeling excluded? Consider passing statements such as, “We all remember what happened to Daniel’s three friends.” What does that say to the person who never saw a Sunday School flannel graph in their life? It’s simply understood that everyone present has heard the story. If we really are honest however, what we do generally translates into a holy huddle that enjoys the warmth of the campfire while unintentionally blocking out the light for those in the shadows. Perhaps in practical terms we really do have more of an either/or approach. The evangelical reaction against theological liberalism. The division of the gospel into social and spiritual categories. Evangelicals’ disillusionment with earthly life after World War I. The spread of premillenialism that emphasized a rapturous withdrawal from this evil world rather than introducing the Kingdom of heaven now. The spread of evangelical Christianity among the upper and middle classes who equated it, more and more, with their own personal well-being. Recently I finished reading “The Church of Irresistible Influence” by Robert Lewis. He believes that “contrary to much evidence, the church does not exist for the sake of the church. It exists for the sake of the world.” He says that most Christians are becoming more and more comfortable with each other while becoming more and more disconnected with the world. We live in fairly isolated communities with programs that meet our needs primarily. In terms of the season, we’ve lost our ability to incarnate the truth. Christ left the safety zone of heaven to bring transformational truth into our world. The law from Unapproachable Deity above hadn’t cut it…the Word had to come down and become flesh. He had to speak our language in our world in order for us to get it. By building a bridge from the eternal realm to us in time and space, Christ set us free to transcend our world and enter His (Ephesians 2:6). If in fact, the church embraced a holistic gospel and focused its energies on becoming all things to all people in order to draw them into the Kingdom (1 Corinthians 9:19-23), perhaps the either/or dilemma would start to disappear. I believe we need a both/and approach that builds bridges to our communities and results in a vibrant faith. Let me close yet with two reality check questions I once heard that may help you keep this conversation going: (1) If your church doors closed tomorrow would anyone in your community notice? (2) Would anyone care?